East Grinstead Town Council has teamed up with Mid Sussex District Council and Energie Fitness to provide weekly outdoor exercise for teenagers. The boot camp runs from 4pm to 5pm weekly until Wednesday 25th October and is free to attend. 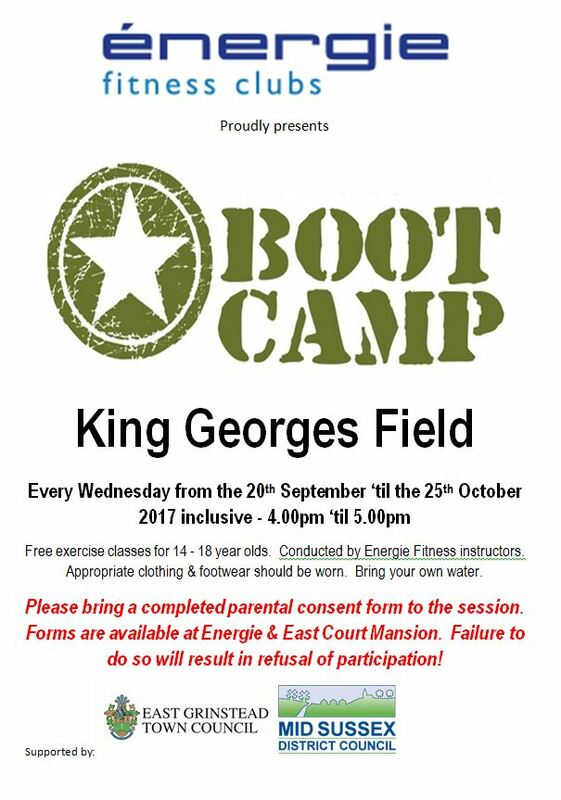 Parental consent forms, available from Energie and the Town Council Offices, must be completed before participation is allowed.